On December 18th, 2015 Costa Rica received its 1 millionth U.S. tourist. What a great news! It was the first time that more than one million U.S. tourists arrived in Costa Rica in a single year, and hopefully won’t be the last. According to the Tourism Minister, one of the reasons for the growth in the number of U.S. tourists coming to Costa Rica is the airline strategy made by the Tourism Board and the new agreements with U.S. airlines which are offering more and more options to flight to Costa Rica. The 1 millionth U.S. tourist was one of the members of a Washington state family, who planned a two-week holiday in a Costa Rica Family Vacation Package as a Christmas gift. 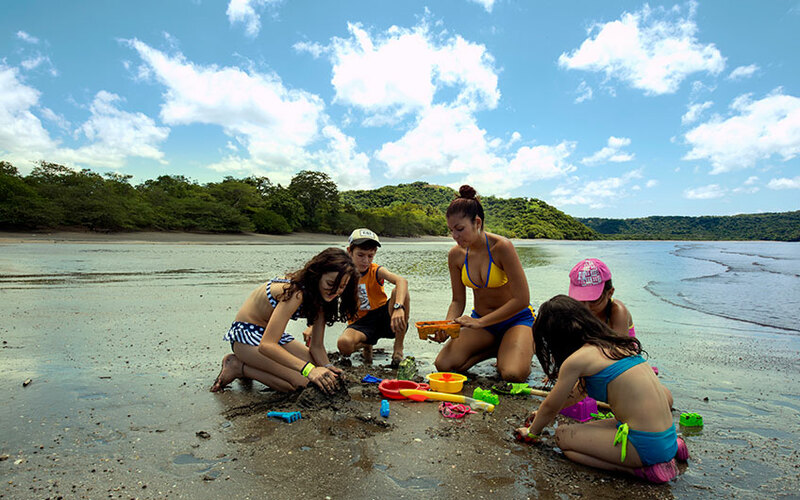 Family vacations are very popular in our country, and during the last years Costa Rica has been named several times as one of the best family destinations in the world. Things like its security, hospitality and natural beauty are some of the reasons why families love to spend their time together in this small piece of paradise. Costa Rica travel is multi-faceted. Travelers from all around the world choose the country as their next travel destination to spend their vacation. Solo travelers love the tranquility and peace of the place; honeymooners select the country as their paradisiac dream of newlyweds; adventurers come to explore and discover the different Costa Rica tour options and experience an unforgettable adrenaline rush. And families. Families come from all over the globe just to spend their vacation together in this piece of land. And for us this is extremely important. We know that, sometimes, the vacation period is the only time they spend all together or sometimes this vacation represents the investment of their savings, and for that they deserve to spend a magical time in a magical land; creating memories for a lifetime. We know that the way travelers are spending their vacation has changed with the time. For example, nowadays the travelers look for a destination that provides them great and quality time without harming the environment, and also, they are looking to places where they can “buy” and createexperiences. Cultural, natural, extreme, and fun experiences to share later with their family and friends. And Costa Rica has the potential to offer all these experiences in an itinerary. We know that sometimes it is difficult or takes some time to create and arrange by your own a vacation schedule with the places to visit, the hotels, the transfers and the tours -among other details- and it may represent a little bit of stress. That is the reason why we have already arranged different Costa Rica vacation packages you can choose one from and ease your holiday planning giving you and your family the time to focus on other important things concerning your Costa Rica trip. You just need to contact us if you want us to take care of every detail concerning your vacation. Here we will give you information we think will be important before planning your Costa Rica family itinerary. While traveling to this country you must be prepared to expect constant weather variations whether you be visiting the forest or the beach. Costa Rica weather is tropical, this means that it tends to be humid, and you can find, and experience, almost all our micro-climates when visiting the country and going from one place to another. That’s important to take into consideration as you can pack according to the climate that is going to be expected in the places you will be visiting. But we strongly recommend to pack at least a raincoat or a light jacket, even if you are staying at the beach. Other important fact to take into consideration when planning your family trip to Costa Rica is the kind transportation you and your beloved ones will be taking. Costa Rica is a small country, with only 51,100 km2 of total area. This means that going from one point to another one generally involves short driving distances and few hours of traveling. Obviously, during any vacation it is very important to save the most of the time possible, in order to take advantage of the activities and the free time and maximize the enjoyment of your trip. That is the reason why we offer to you the option of booking domestic flights from one destination to the next one to avoid the traffic and you just need to wait at any of our airports or local airstrips for your flight. If you prefer to travel with the assistance of a guide and driver, then you can take into consideration the option of traveling with one of our friendly guides and not having to drive at all, but be aware you will have a more organized schedule as pick-ups and drop-offs are previously set. But, if you want to lower the budget of your family vacation itinerary, by not taking any domestic flight but you neither want a tight schedule due to the itinerary hours, then you can rent a car and drive by your own. The advantage of driving your own rented car is that you will have the chance to stablish your own departing times, as well as you will have the facility of going somewhere else you want. You and your family will surely get to different and remote destinations, at your own convenience and with all the comfort and space needed. Waze functions well in Costa Rica so you can connect easily with your mobile and go places! You can also check our Costa Rica map guides in order to get to know a little bit more about the distances and places to visit. Costa Rica is a country of multiple options to consider when thinking in a family trip for vacation. The place is blessed with a wide variety of different biodiversity, different nature in each destination and different wildlife to discover. During a trip here of about seven days, you easily will get to explore and experience at least three totally different ecosystems and weather variations. We can assure you that you will be absolutely impressed by the stunning nature and the multicultural places you will visit. Choosing to spend some family vacations means that you and your beloved ones will have the opportunity of going from one place to another very easily and that will increase your chances of experiencing a lot of sensations and adventure within just few days. That will save a lot of time too, its matter of taking advantage at every second of your journey here. Other important fact to think about during the planning process is the selection of the hotel -or hotels- that will host you and your family during your trip. It is possible that during this process you will be a little undecided concerning which one to select. Well, to do this important selection you have to take your time and think about what amenities and facilities you would love to enjoy when spending your vacation time. Costa Rica hotels are as varied as the country is. Here you can find a lot of different properties each one featuring its unique charm and style. You can find boutique hotels, city hotels, hotels in the middle of the forest, beachfront properties, Costa Rica all-inclusive hotels (an ideal option if you are just looking for relax and activities with your children without worrying too much), luxury hotels and some budget ones, … the thing is that you have a considerable selection to choose from! The hotels offer may vary from place to place, as the regions and its conditions are very varied too. We strongly recommend you to look for places that offer all your family and you are looking for. As an example, if you have little kids, try to consider some activities and Costa Rica tours for them, as well as for your spouse or partner. This will give balance during your vacation time to avoid the fatigue and possible stressing situations. Many hotels offer a “nanny” service for your children while you enjoy some free time dining, practicing water sports or just pampering yourself with some Spa treatments. 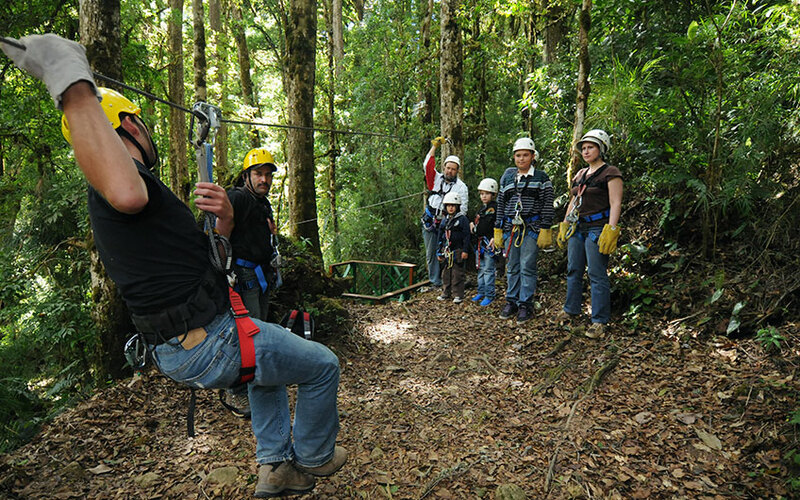 The natural environment of Costa Rica will delight the whole family. The precious landscapes wherever you go are an excellent way to distract yourself from the busy day by day of work and family duties. Your Costa Rica travel must be a time for relaxing, enjoying your family and giving great times for the ones you love. About the Costa Rica food, we have to tell you that the meals here are full of colors, textures, flavors, and options. You will find here a lot of places to enjoy lunches and dinners pleasing everyone in your family. Breakfasts are commonly included in your hotel’s rates but you may need to be sure before. From small restaurants called sodas where you can taste the typical flavors of Costa Rica, to cozy and fine dining places ideal for a special occasion, you have a lot of menus to choose from. If fast food is what your kids enjoy the most, then you fill find multiple chain restaurants everyplace you go. But, for sure, we encourage you to taste the typical food as part of your experience in the country. Now, focusing in what you really need to know to start planning your affordable Costa Rica family vacation packages you need to know a little bit about what you can do in the different regions of the country. That’s why we are going to give you a glimpse of the best place to vacation in Costa Rica with family and what to do and expect in each one of them. First of all, we recommend you to spend your first or last night in the capital city of San Jose Costa Rica. As you spend some time here you will find out that this is a place to discover and enjoy in the heart of the Central Valley. You can enjoy different activities for both children and adults. A lot of museums, stores, restaurants, shopping centers, and parks are available for you to spend a magical time without leaving the town. The northern region of the country is composed by the area of Sarapiquí and the world recognized area of La Fortuna Costa Rica, where the majestic Arenal volcano and its famous lake are located. Here you can do a lot of different activities and take so many different tours that will please the entire family. 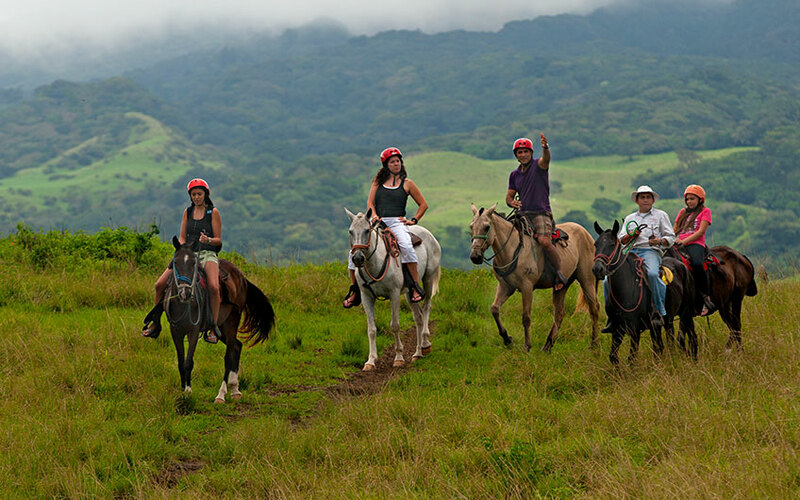 Horseback ridings to waterfalls or mountain bike rides by the lake, walks amidst the forest, canopy tours while enjoying great views, ATV tours as part of the fun, hanging bridges tours, butterfly gardens to visit, rafting tours in the exciting rivers, visit to the relaxing hot springs, among others. 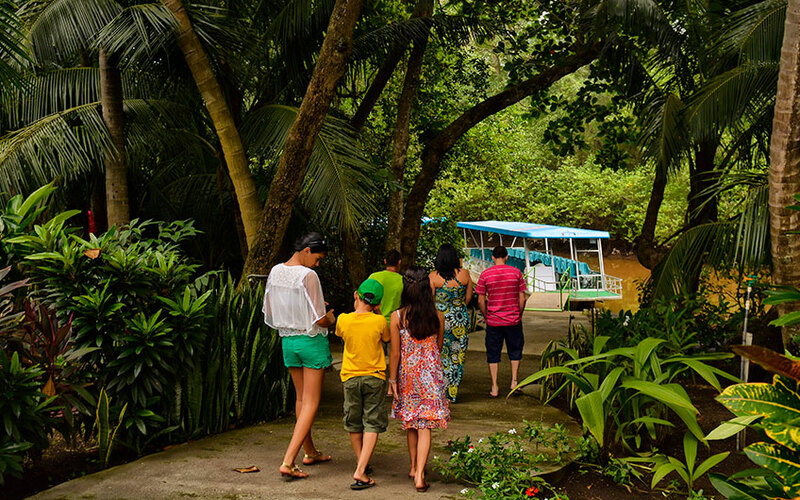 For example, the Arenal Natura Eco Park is a perfect place to enjoy with children. In a two-hour walk it is possible to visit a frog garden, a crocodile and caiman lake, a snake garden, a turtle pond, and several natural trails. If you want to visit a less crowded place but also a very beautiful one due to its landscapes and lush green, then we can suggest two options: a visit to Monteverde area where you will find peace at every corner and a climate that invites you to relax, or a visit to the town of Turrialba famous for its tranquility, its recently active volcano, the possibility of taking attractive tours and its cheese. The Caribbean side of the country also loves to hosts families. Here you have two great choices to consider: a visit to the Southern Caribbean region, full of amazing beaches to rest and spend the day by, and also with a laidback vibe that will leave you speechless. Taste the typical Caribbean food of Costa Rica will be a total experience itself. Just give the region a try, you won’t regret it! The other option in the Caribbean area is to visit the exuberant Tortuguero National Park. Here is the perfect destination for your vacations. You will find a lot of natural tours to take and enjoy with your family, the place is ideal an entertaining for families with little children and for families travelling with their grandparents too. Here you can enjoy great boat tours to spot the living wildlife of the area and also do some great birdwatching. Now, if you are looking for warm weather, sea, sand and cool waves, then the amazing Costa Rica beaches are the ideal option for you to choose. We have an amazing variety of beaches to visit. Each one of them has its own charming and its own characteristics so, you need to look for the best ones that fit into what you are wondering to experience in Costa Rica. If you want to stay close to the Central Valley which means less hours in the traffic, then some great options for you are the nearby beaches of the Central Pacific region such as Jacó, Hermosa and Herradura. Here you will find varied options of lodging and complete offer of services like shops, supermarkets and restaurants. Other of the beaches in this area, and maybe the most visited and famous is the beach of the Manuel Antonio National Park and its nearest town of Quepos. Please take into consideration that this beach is usually a very crowded one, as it is one of the most preferred among locals and foreigners. 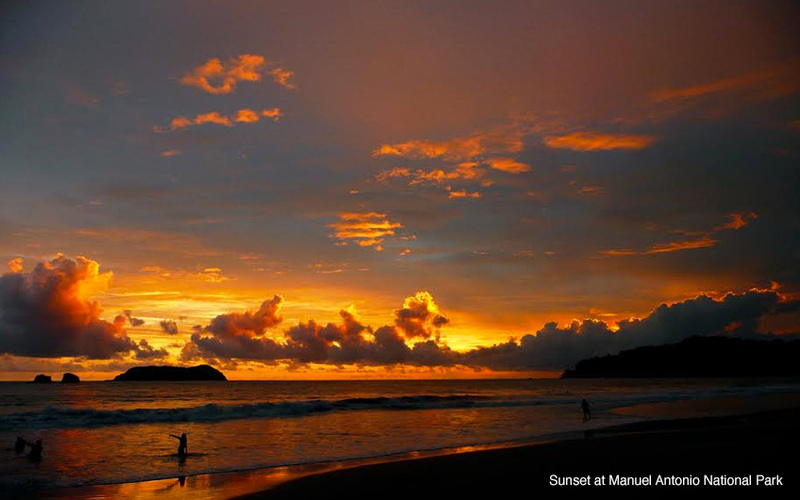 Here in Manuel Antonio you will find a lot of accommodation options, tours, and restaurants. The beach is beautiful and we are pretty sure that all your family members will love it as well. 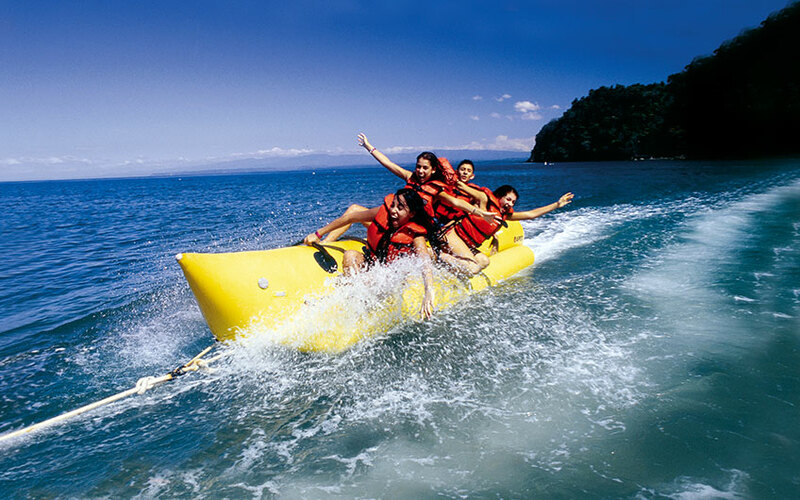 Watersports can be enjoyed such as banana tours, stand up paddle, snorkeling, boat tours, paragliding tours, among other more options to spend your vacation time with some fun and adrenaline. This National Park is one of the most visited attractions in Costa Rica, and families love it due to its amazing wildlife and the possibility to finish the hike with a relaxing time in a white sand beach. Dominical and Uvita are another option to visit in the Central Pacific side of Costa Rica. Here you will find less crowded beaches, but a great spot for soft surfing, relaxing time and, during the proper season, great whale watching tours that can be enjoyed by kids (it requires a minimum age) and adults. A visit to the Southern Pacific region of the country will always be a great adventure for all. Here, due to the adventure and the deep forests we think that it fits better in families with grown kids and teenagers. As they will enjoy most the hikes and living the close contact with wildlife and nature. Corcovado is the right place to visit if your family loves nature and deep wildlife. Then, a visit to the other side of the country, the Northern Pacific region, will always be a pleasant complement for your vacations in Costa Rica. Here you can find the Liberia Costa Rica city, which is the capital of the province of Guanacaste. Here you can find our second international airport, the Daniel Oduber Quirós. So, if you are just planning a beach stay, maybe you will want to consider taking a direct flight to Guanacaste (as many celebrities do!). Guanacaste features incredible beaches, for many people they are considered the best beaches in the country. As mentioned before, each one of them has its own magic, but what it is important to know is that here you will have plenty of options when selecting your next hotel destination. So, consider this when looking for Costa Rica family vacation ideas. You can also contact us to help you in the arranging process of your vacation packages to Costa Rica. Here in Guanacaste you will find different activities according to the location, but it is common to find scuba diving schools teaching how to do deep sea immersions, water sports, surfing lessons for beginners and advanced surfers as well, horseback ridings, golf courses for those families who love the sport, walks, adventure tours, canyoning, and also sport fishing tours. Multiple options to enjoy during your next family vacation! Nightlife can be enjoyed in some areas such as the well-known beach of Tamarindo if you are looking for dancing and night fun with your teenager children. And also, you may know that the majority of the best all inclusive family resorts in Costa Rica can be found here in Guanacaste. Now you have a better idea of what to expect during your adventure for the best family vacation in Costa Rica. For more ideas or suggestions, please do not hesitate to contact us for further help and assistance. Our specialists will give you the best attention at every moment.